Morning Sickness and Heartburn Relief Never Tasted So Good! 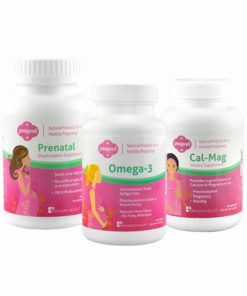 Formulated by a team of doctors and nutritionists, all-natural PregEase is intended to provide swift, gentle relief from two of the most common discomforts associated with pregnancy: nausea and heartburn. Thought to be caused by increasing hormone levels, few women move through the first trimester of pregnancy without experiencing morning sickness, and some pregnant women feel nauseous all day long, well into the second trimester. Heartburn results when acids from the stomach flow back up into the esophagus, causing an uncomfortable, burning sensation in the chest. Heartburn is common during pregnancy because the growing baby puts pressure on the intestines, stomach, and esophagus, which can slow digestion and increase the likelihood that stomach acids will creep back up into the esophagus. Vitamin B6: This member of the B vitamin family has been scientifically proven to reduce the severity of nausea and vomiting during pregnancy, and is often recommended by physicians as a first-line treatment in the prevention of morning sickness. Vitamin B12: Vitamin B12 has been shown to reduce vomiting in pregnant women. Brown seaweed powder: Brown seaweed contains alginic acid, which is included in many over-the-counter heartburn relief products. 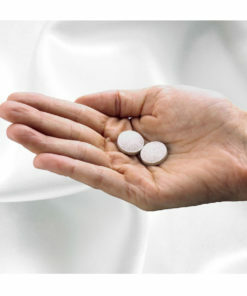 Alginic acid helps to reduce the discomfort of heartburn by providing a barrier between stomach acids and the esophagus. Ginger root: Ginger root is included for its well-known ability to reduce nausea caused by motion sickness and morning sickness. 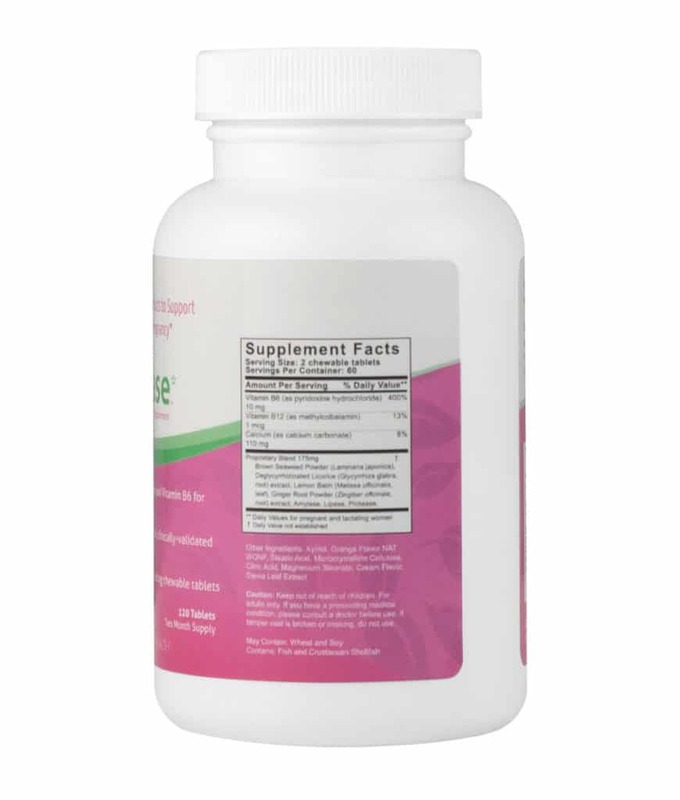 Deglycyrrhizinated licorice root: Also known as DGL, this form of licorice root (which does not contain glycyrizzinic acid that impacts blood pressure) is known to soothe and heal the esophagus, thereby reducing the pain associated with heartburn. Lemon balm: This herb has been used traditionally as a digestive aid to help reduce nausea and other digestive discomforts. Amylase, lipase, and protease: These enzymes are included to help ensure that the food you eat is digested quickly and thoroughly, which can help reduce the symptoms of nausea and heartburn. PregEase contains seaweed. As a result, this product contains traces of fish and/or shellfish. PregEase may also contain wheat and soy. Each bottle contains 120 chewable tablets, and we recommend 2-4 tablets daily as needed for relief from heartburn or nausea. PregEase is has a delicious sweet orange flavor. PregEase contains brown seaweed (laminaria japonica). If you are allergic to shellfish or fish, consult your physician prior to use. What is the format of the product- capsule, gummy, or tablet? 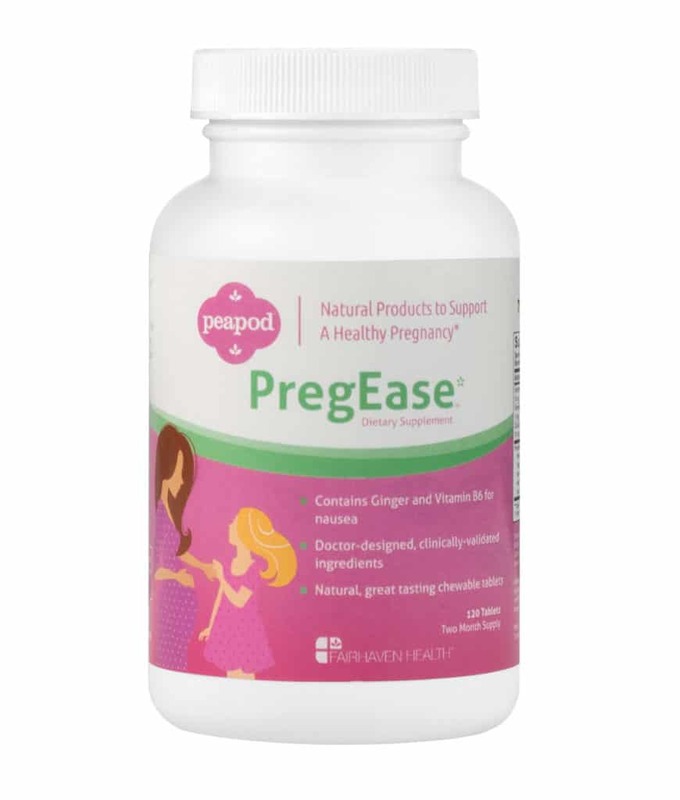 PregEase is a chewable tablet. How long should I use the supplements? We recommend use as needed to help find relief from heartburn or morning sickness symptoms. 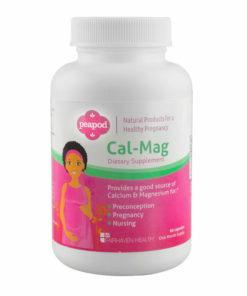 Yes, we recommend use with PeaPod Prenatal. We would not anticipate any concern with use but always encourage that you follow up with your prescribing doctor. Can these supplements be used with other Fairhaven Health PeaPod products? Yes, that is just fine. No, PregEase is not gluten-free. No, PregEase is not soy free. Is this product corn free? No, PregEase is not corn-free. My morning sickness hit at 6 weeks on the dot and in my misery I started googling remedies, desperate to feel better. 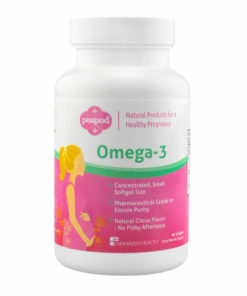 I heard about PregEase somewhere online and knew it must be a good product if it came from Fairhaven Health. I love that the ingredients are all natural and that the tablets are easy to take even when you feel nauseous. They actually taste good! And more importantly, they really seem to help. This gave me a lot of relief from my nausea and helped me feel human again! I am one that suffers from heartburn with occasional nausea, pregnant or not. Once I found out I was expecting my second child, I knew I needed something to combat these setbacks when they flared up. I stumbled across PregEase from Fairhaven Health. This small, penny sized chewable tablet is a miracle in itself. This chewable comes with a citrus kick and a very sour and gritty taste. The smell is a punch of lemon juice and dirt. After the shock of the first chewable was over, I was able to get past the grittiness of it to make myself feel better. If you have ever taken a citrus vitamin C tablet, that is exactly what this tastes like. Followed by a soft touch of ginger. The main ingredients in this tablet are made of a proprietary blend of; brown seaweed powder, licorice root extract, lemon balm, ginger root powder extract, amylase, lipase, and protease. 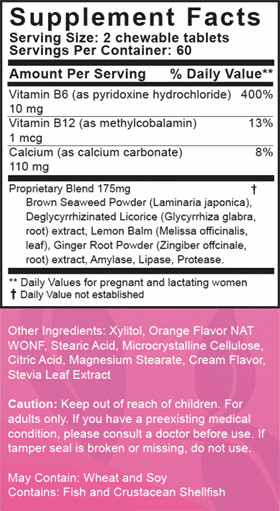 Also in this are stevia, orange cream flavor, and a few other common vitamin ingredients. The relief I received from this pill was usually in around five(5) to ten(10) minutes time. It was so quick that I immediately forgot I had any symptoms prior to taking this. I have been prescribed anti-nausea medications and this has worked way better than any of them have before. A plus, there is no drowsiness. I did find that I needed to up my water intake when taking these tablets. It was a daily routine during my first trimester, where I would need to take the capsules more than once a day. Sometimes 2 at a time. I never exceeded 3 a day and was okay with that. Some days, I was lucky enough to not have to touch them. Now it’s about once every week that I need them for some bout of nausea I am battling. I have recommended this product to multiple people that have heartburn and/or nausea issues during pregnancy already, and will continue to do so as my pregnancy progresses and after. 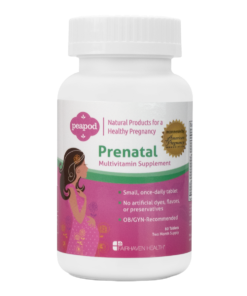 This is a wonderful product and I will absolutely continue to take this even after my pregnancy for nausea from everyday life. If you deal with any sort of nausea or heartburn ailment, get this. You will not regret it. I did not have much morning sickness, but PregEase did help with my heartburn. I would take one at night when I would feel the heartburn setting in. I had enough relief I could lay and sleep. I tend to opt for more all-natural health remedies than transitional, drug-store versions…especially when pregnant. I was very much hoping this product would take care of my heartburn, as promised, but it did not even put a dent in the burning sensation. I am disappointed with this product and what it purports to remedy – it simply did not work for me at all. I started to have horrible all-day nausea starting around week 7. I kept forgetting that I had bought these pills, even though they were always in the bottom of my purse. Once I remembered to take them (and I had to force myself to take them a few times because my nausea/aversions were SO strong), i found relief almost right away! It didn’t work “immediately” but after a short time, I would notice that my nausea had subsided and I actually felt normal again! Last night I felt incredible nausea before bed, so I took another one of these. It worked and this morning my nausea was even LESS than I usually experience in the morning (when it’s usually at it’s peak). this just could be a coincidence, but it’s in line with the experience I’ve had with them so far. I really feel like the calcium and B6 help! 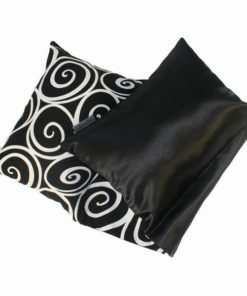 At first, it did help relieve me from morning sickness. After a while, it wasn’t as effective. This has come in handy as I’m in my third trimester and have experienced both heartburn and sickness. It seems like it takes 30 minutes or less for it to kick in and start relieving my symptoms. Love that it tastes good although I think the orange flavor is a little strong. This product wasn’t available until my morning sickness had subsided but I had to try it for heartburn! The Flavor is great and it works better than over the counter chewables(Tums, rolaids, etc.)! I haven’t had any morning sickness but heartburn is a different story. This has been a Godsend for my heartburn. Love the orange flavor. Another great Fairhaven Health product.